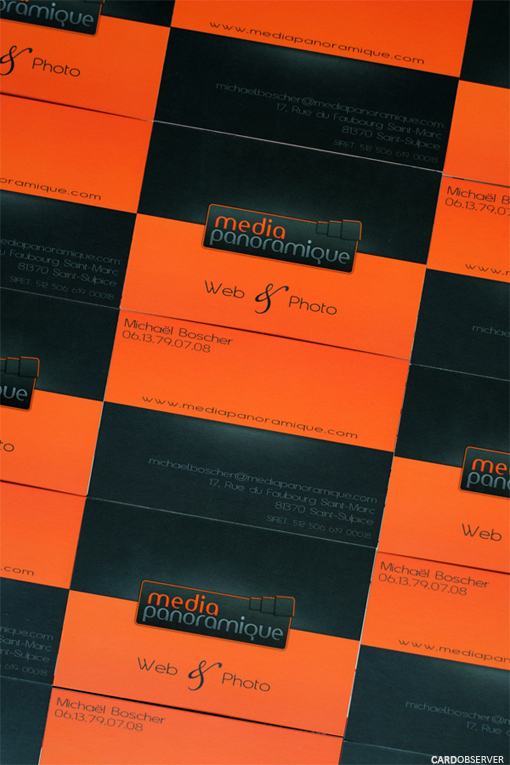 Here is our personal business card. Flashing orange and gray to be sure not to lose it ! Selective varnish for the logo on front, mat lamination on the both sides to be sure it is noticed !